Catholic Relief Services was founded in 1943 to assist refugees during World War II. And 75 years later, we’re still coming to the aid of people escaping conflict, violence and natural disasters. While CRS doesn’t resettle refugees in the United States (these programs are run by the Catholic Church’s Migration and Refugee Service and Catholic Charities), our rich history has taught us valuable lessons about how to best help families fleeing crisis. People do not want to leave their homes. An astonishing fact is that, worldwide, 1 in 110 people have been forced to flee their home to another country (UNHCR). People flee when they feel they have no other choice. Most people around the world give the same reason for starting their perilous journey across borders—violence. Violence is the reason millions are fleeing conflict in South Sudan and tens of thousands are fleeing gang violence in Central America. Most often, people choose to stay within their own country. Only when no other option is available do people cross borders. Don’t separate families. Based on our extensive experience with refugees and migrants, CRS agrees that the former United States policy of separating children from their parents is wrong. Decades of research shows this traumatic experience can lead to long-term psychological, and even physical, damage to children. Support the family unit. The family unit provides the primary support for children during the traumatic refugee experience—whether it is witnessing violence or crossing a desert on foot. CRS focuses on keeping families together. This means housing a family together using any services available—from trauma counseling to income generation. CRS helps provide thousands of Syrian refugees in Turkey with medical assistance, food, hygiene and living supplies, counseling, and special assistance for children. Kids need school and play. CRS is dedicated to supporting children's education. It's a well-known fact that giving children stability and normalcy through education is vital to ensuring they can be productive citizens in their communities. Kids need to be kids, too. 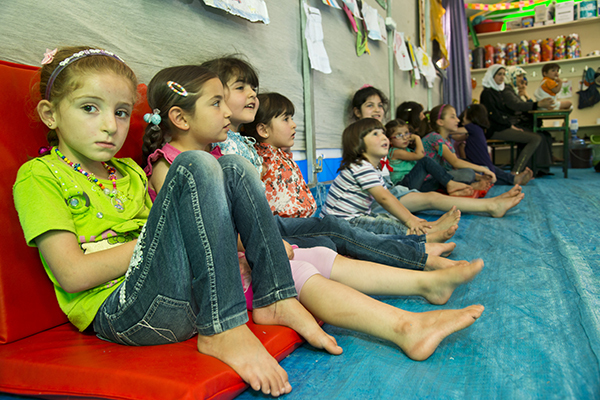 Whether they are in a camp or a holding center, they need a space to play. Adults need work and income. We know from experience that people find pride and purpose in earning an income for their families, no matter how small. Refugees and migrants are looking for a hand-up, not a handout, and being integrated with their host communities benefits everyone. The poorest countries house the most refugees and migrants. Although media stories give the impression that the United States is swamped with migrants, the fact is that 85 percent of the world’s refugees are in the developing world. The country with the largest refugee population is Turkey, with almost 3 million refugees. One in three people in Lebanon is a refugee. 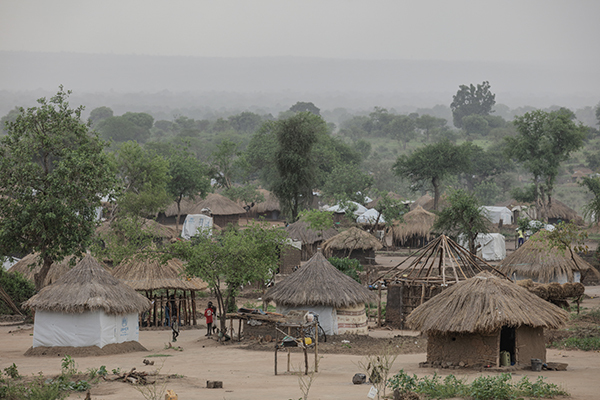 The Bidi Bidi Refugee Camp in Uganda alone is home to 229,000 South Sudanese who have fled civil unrest. Richer nations like the United States should look at the lessons learned by these countries: how do they welcome and host refugees with far fewer resources?